There came a point in life in University where someone asked me if I had suffered anti-semitism. “No.” But over time, the more people ask, the more you search your memory for it. Didn’t people where I grew up in Maine used to whisper “that Frantzman family, what kind of name is that?” Didn’t people joke about how many Jews you can fit in an VW in high school? Didn’t a boss once claim that “the Jews own all the businesses in this town”? Didn’t someone I knew claim that “the Jews run the US media”? Well, that last example happened in Israel with an Israeli Jew, but let’s discard that then. Yes, I’d suffered greatly from anti-semitism. In my fraternity I probably lost votes when I ran for president. No, wait, that was the gay kid I’d run against who lost votes because they didn’t want a gay president. Maybe it was when I ran for student senate at University of Arizona? Or perhaps in the bank I worked. Maybe when I played football in high school. Did people tease me in the shower? But surely there were anti-semites around every corner. They were waiting. Going to synagogue in Arizona was scary. If you walked around Tucson in a yarmulke sometimes someone would ask you if it was one of “your people’s” holidays. If you wore a huge Star of David around your neck and had a huge Star of David tattoo, people might look twice at you, the way I looked twice at the hasidic couple when I would jog past them on saturdays. “Are they amish,” I wondered. Perhaps they thought I was the anti-semite giving anti-semitic glances? It’s foggy now, this history of anti-semitism. This great struggle I overcame, the years of persecution in America. I was awakened again when I read Ruth Wisse’s essay in Mosaic claiming that “while the political poison may not yet have penetrated America as deeply, it is being disseminated here with alarming intensity. In my remaining remarks, encouraged by Alain El-Mouchan’s clarity and eloquence, I want to turn to the American case—different in so many ways from the French case, but ominous enough to give pause.” In an earlier article she had diagnosed where the great tidal wave of anti-semitism was coming from. “For the moment, most of the American public seems free—solidly free—of the anti-Semitism that infects American universities.” She wonders, “why should anti-Semitism flourish in the sweet groves of academe rather than in the fouler corridors of power?” The author explains, “The question harbors its answer. Israel is attacked not despite but on account of its liberal democracy and its buoyant pluralistic culture.” It turns out “Every year, some 200 campuses now host a multiday hate-the-Jews fest, its malignancy encapsulated in its title: ‘Israel Apartheid Week. '” So one realizes quickly, anti-semitism means “anti-Israel” activity. The whole essay is about anti-Israel views on campuses. Now there is a nice bait-and-switch. First we talk about anti-semitism, then we talk about anti-Israel activist, then we say anything anti-Israel is part of anti-semitism, and then voila we get reports that most students suffer anti-semitism. Wisse notes, “more than half of Jewish American college students [have] personally experienced or witnessed anti-Semitism.” Now I think back to my own years in college. We had the “Union for Peace and Justice in the Middle East” which was anti-Israel. It was run by a Jewish student, like many anti-Israel groups. But if I’d been in University today, this would mean I suffered anti-semitism in university. On the student council during the Second Intifada we were asked to condemn some pro-Israel student group. All I remember is wondering why the student council would waste it’s time on a subject relating to a war thousands of miles away. Perhaps I was an anti-semite for wondering that? I used to have to walk to class past the Mohammed al-Dura posters put up by some group. Big anti-semitism if it happened today. There is basically no anti-semitism in America. When we look at the “thriving” anti-semitism on campus that we are told about in various media, let’s consider the reality. There are some 200,000 Jewish students in major public and private universities, according to campus Hillel. According to the surveys released by various groups, “nearly three-quarters of Jewish college students have described experiencing anti-Semitism in the last year” and “more than one-quarter of the Jewish students reported seeing hostility against Israel on campus from peers.” Where the line between the two lies is not clear, and students are encouraged to feel that every “Israel apartheid week” is part of an anti-semitic manifestation. The way its communicated to us via the media you’d think the Jewish students are being hounded constantly. Campuses that are 20 percent Jewish, like Cornell, Tufts or Harvard, are those really places Jewish students feel threatened. When there are 6,000 Jewish students on campus, they are threatened by anti-semitism? What about the reverse side of this coin? There are more Jewish students studying at university in 2015 that at any time in the history of the world. 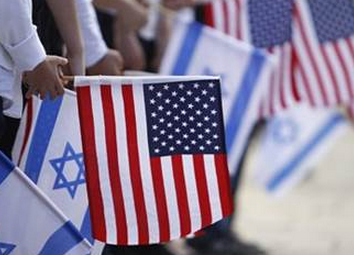 There are more Jewish students on campuses today in the US than at any time in history. But a neat trick was pulled on them. They are told that anti-Israel activity is a form of anti-semitism in order to raise the reported levels of anti-semitism. And hostility to Jewish students is a sort of self-fulfilling prophecy. The more people are told they suffer anti-semitism, they more they tend to find it. One Jewish joke over 30 years becomes “suffering anti-semitism.” Thus a Jewish student in 1850 who was harassed constantly, who was called a devil and who was called “christ killer” and beaten and attacked every week, would report suffering the same “anti-semitism” as today’s student, because his whole life of abuse, on a survey, boils down to the same “yes” as the student who once heard a Jewish joke. We are led to believe that the average university today in America is some hot bed of raving anti-semites, worse apparently than our father’s or grandfather’s generation might have suffered. In those days there were Jewish quotas, so Jews couldn’t even get in to some universities, but at least they didn’t suffer having to see an “Israel apartheid week,” there was no Israel, so they never had to suffer the anti-semitism of hearing anti-Israel views. It’s easy to say “yes” on a survey. In an America in which being a victim is prized and being a minority is especially prized, there is no responsibility one must take before claiming that, “yes”, they suffered anti-semitism. If the survey makers could get to 100% of Jewish students “suffering anti-semitism” it wouldn’t be enough. That would be higher the number of Jews suffering anti-semitism in Nazi Germany of 1936, but no matter, because no need to question the data. No need to wonder about the quality of the anti-semitism, as long as the quantity can be increased to apoplectic levels. I think now to my experience in Israel. If calling Israel “apartheid” was anti-semitism, I’ve seen a lot of that in Israel. On campus in Israel I heard Israel compared to a Nazi state and listened to professors support Palestinian suicide bombers. Did I suffer great anti-semitism in Israel? Perhaps Israeli campuses also are full of anti-semites? In the weirdo world of pro-Israelism where anti-semitism stalks every corner, a need to connect all things to Israel is manifested. Wisse writes, “the torture of the young Frenchman Ilan Halimi have yet occurred to suggest that America harbors pockets of Muslim youth as depraved as those in France or the Middle East…I believe that America is becoming more vulnerable to the politics of blame that undermine democracies from within.” An anti-semitic attack in France is then paired with “President Obama has clearly courted America’s Muslim and anti-democratic antagonists at the expense of its strongest allies, Israel foremost among them.” For her “U.S.-based Muslim preachers and foreign students, Arabists and Arab lobbyists, and Internet-empowered Islamists blame Israel for the war being waged against it…the implicit license he [Obama] has given to domestic enemies of the Jews, is, most unfortunately, the frailty of his Jewish constituency.” Thus the problem is that Jews are not standing up for Israel enough. “Jews who squander their democratic right to expose and indict Palestinian Arab terror, and who condone the vicious slander of Zionism, betray what I consider their responsibility to America…Obama’s Jews may not have been able to prevent him from weakening America, but as an early-warning system of freedom, they were duty-bound to try,” she writes. Obama’s Jews? Who are they? So a Jewish American’s first loyalty must be to Israel, is that what the author is claiming? There is a dangerous, quiet, agenda unfolding. The agenda is to take every American Jewish person and turn them into a proxy for Israel. The first part of this agenda begins by turning all anti-Israel views into “anti-semitism.” Then the concept is that American Jews’ foremost concern relating to Jews in America, is defending Israel. It’s all about Israel. It’s not about American Jews. Why do American Jews have to harnessed to Israel, a country some of them have no affinity for and don’t care about? Jews in the US administration are asked to think of Israel first, Jews in the Supreme court are condemned for not thinking about Israel when weighing a case relating to passports, everywhere it is turned into an issue of Israel. Why did this happen, when the US Jewish community is so large and thriving? Why is the debate so narrow? Why, especially on the right and among the pro-Israel crowd, is there so little discussion about the dangers of equating all anti-Israel views with Israel and replacing all sorts of concerns with an entirely Israel-centric view? How does one confront really disgraceful anti-semitic outbursts, when one has been drowned in data showing that everything on campus is anti-semitic by pumping up the data with anti-Israel issues? It’s a self-fulfilling prophecy. The more young Jews who are interested in Israel are told America is anti-semitic and America is like France, the more they look for evidence, as I once did in my own past when asked about it. The more they go on Birthright and then see Israel as their “real home.” The more they then feel alienated in the US. Then they complain about accusations of dual loyalty, when they in fact are dually loyal. The more they see Arabs and Muslims in America as a danger. A mosque as a hostile element. And then the switch happens. America’s landscape is seen like France, a dangerous foreign land. And maybe those purveyors of this agenda got what they wanted, an Israel-first agenda that has sacrificed American Jewish integration and well-being in order to gain a tiny bit of support for Israel. But at what cost? “Those who try to separate anti-Semitism from anti-Israel bigotry do not realize the monster they are creating: Zionophobia. Zionophobia is the irrational hatred and prejudice against those associate with Israel. For many, Israel — which is the most mentioned word in the Hebrew Bible and part of even the most basic Jewish prayers — is an inextricable part of Jewish identity. But Zionophobia penalizes Jews for honoring their heritage. It is hatred. It is harrassment. And because it is as masked as solely political, it is wrongly written off as okay. From now on, the issue must be identified at its core as Zionophobia. This did not come out of thin air; many on campus have proudly vetted the idea on their own, declaring themselves to be anti-Zionists. There is but a sliver of difference between “anti” and “phobic”. Both, of course, pump animosity through their veins. One has to wonder where such hatred comes from. While it is possible that the root of all this is simply a dispute over government policy — something that can be resolved and dealt with through lawyers and politicians — their criticism is unconstructive to the point of insanity. More likely, their hate is based on the rejection of Jewish nationhood itself, Israel. They call for the elimination of an ideology and a people.